BSM is Pompeu Fabra University's management school. Its mission is to develop professionals that will transform society by challenging the norms with science and social awareness. Pompeu Fabra University is a public, international, and research-intensive university that, in just thirty years, has earned a place for itself among the best universities in Europe. According to Times Higher Education ranking 2019, UPF is the 1st Spanish university, 135th worldwide, and 11th highest ranked university in the world among those under 50 years of age. You will learn from the faculty of the internationally top ranked UPF Department of Economics and Business (UPF-DEE). UPF-DEE professors are a vibrant international community with cutting-edge training and reputation in their areas of expertise. Our Masters of Science are officially accredited programs recognized by the Spanish Ministry of Education and the European Higher Education Area (EHEA). 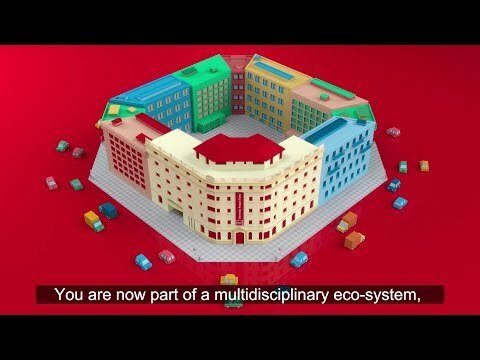 You will have the opportunity to expand your network with the support of the UPF Barcelona School of Management Alumni Department and become part of a unique community. Special rules for course selection: Some courses have an enrollment limit.